10 November 1862 (1862-11-10) O.S. La forza del destino (Italian pronunciation: [la ˈfɔrtsa del deˈstiːno] ; The Power of Fate,  often translated The Force of Destiny) is an Italian opera by Giuseppe Verdi. The libretto was written by Francesco Maria Piave based on a Spanish drama, Don Álvaro o la fuerza del sino (1835), by Ángel de Saavedra, 3rd Duke of Rivas, with a scene adapted from Friedrich Schiller's Wallensteins Lager . It was first performed in the Bolshoi Kamenny Theatre of Saint Petersburg, Russia, on 10 November 1862 O.S. (N.S. 22 November). La forza del destino is frequently performed, and there have been a number of complete recordings. 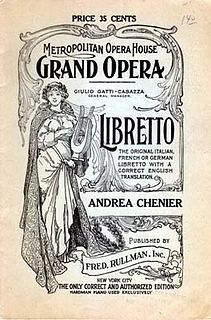 In addition, the overture (to the revised version of the opera) is part of the standard repertoire for orchestras, often played as the opening piece at concerts. Overture in music was originally the instrumental introduction to a ballet, opera, or oratorio in the 17th century. During the early Romantic era, composers such as Beethoven and Mendelssohn composed overtures which were independent, self-existing instrumental, programmatic works that presaged genres such as the symphonic poem. These were "at first undoubtedly intended to be played at the head of a programme". Musical repertoire is a collection of music pieces played by an individual musician or ensemble, composed for a particular instrument or group of instruments, voice, or choir, or from a particular period or area. For example, the common practice period is the repertoire from a period in European classical music. First edition (1862) of the libretto of La forza del destino, Saint Petersburg, with bilingual Italian and Russian text. 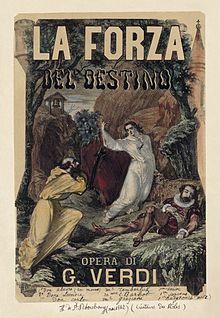 After its premiere in Russia, La Forza underwent some revisions and made its debut in Europe with performances in Rome in 1863 under the title Don Alvaro. 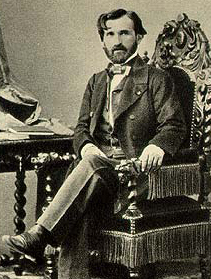 Performances followed in Madrid (with the Duke of Rivas, the play's author, in attendance) and the opera subsequently travelled to New York, Vienna (1865), Buenos Aires (1866), and London (1867). A critical edition of an opera has been defined by American musicologist Philip Gossett as "an edition that bases itself wherever possible on the very finest and most accurate sources for an opera. That means that it must study the entire performance history of a work." Philip Gossett was an American musicologist and historian, and Robert W. Reneker Distinguished Service Professor of Music at the University of Chicago. 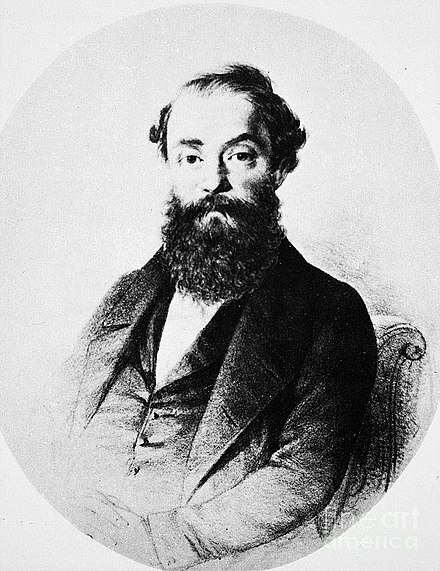 His lifelong interest in 19th-century Italian opera began with listening to Metropolitan Opera broadcasts in his youth. Divas and Scholars: Performing Italian Opera, a major work on the subject, won the Otto Kinkeldey Award of the American Musicological Society as best book on music of 2006. 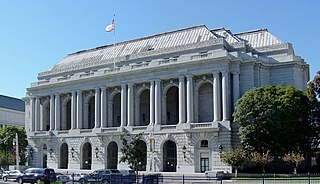 In November 2005, the critical edition of the 1869 version was first performed by the San Francisco Opera whose program book included an essay by Gossett on the evolution of the various versions: 'La forza del destino': Three States of One Opera. The Caramoor International Music Festival gave a concert performance of the critical edition of the 1862 version, plus never-performed vocal pieces from the 1861 version, in July 2008. The piccolo is a half-size flute, and a member of the woodwind family of musical instruments. The modern piccolo has most of the same fingerings as its larger sibling, the standard transverse flute, but the sound it produces is an octave higher than written. This gave rise to the name ottavino, which the instrument is called in the scores of Italian composers. It is also called flauto piccolo or flautino. The music begins with the opera's "Fate" motif, an ominous three Es unison in the brass. Don Alvaro is a young nobleman from South America (presumably Peru) who is part Indian and who has settled in Seville where he is not very well thought of. He falls in love with Donna Leonora, the daughter of the Marquis of Calatrava,  but Calatrava is determined that she shall marry only a man of the highest birth. Despite knowing her father’s aversion to Alvaro, Leonora is deeply in love with him, and she determines to give up her home and country in order to elope with him. In this endeavor, she is aided by her confidante, Curra. (Me pellegrina ed orfana – "Exiled and orphaned far from my childhood home"). When Alvaro arrives to fetch Leonora, she hesitates: she wants to elope with him, but part of her wants to stay with her father; she eventually pulls herself together, ready for their elopement. However, the Marquis unexpectedly enters and discovers Leonora and Alvaro together. He threatens Alvaro with death, and in order to remove any suspicion as to Leonora’s purity, Alvaro surrenders himself. As he flings down his pistol, it goes off, mortally wounding the Marquis, who dies cursing his daughter. About a year has passed since the death of the Marquis of Calatrava. While fleeing the scene, Leonora and Alvaro have gotten separated, and neither has made any concerted effort to find the other. In this scene, the Alcalde, several peasant muleteers, Don Carlo of Vargas (the brother of Donna Leonora), and many others are gathered in the kitchen of the inn as dinner is served. Don Carlo, disguised as a student from Salamanca and using the fictitious name Pereda, is now seeking revenge against Alvaro and Leonora for dishonoring the family name. (Son Pereda son ricco d'onore – "I am Pereda, of honorable descent"). During the supper, Preziosilla, a popular young gypsy girl, arrives, and she tells the young men’s fortunes and exhorts them to enlist in the war (Al suon del tamburo – "When side drums rattle") for Italy’s freedom  , which all agree to do. Leonora arrives in male attire, on her way to a nearby monastery, but luckily she slips away without being discovered by Carlo. Leonora has come to take refuge in the monastery to live out her remaining days secluded from the rest of mankind. (Son giunta! ... Madre, pietosa Vergine – "I've got here! Oh, thank God!") After a somewhat surly reception by Fra Melitone, she tells the abbot, Padre Guardiano, her true name and her wish to spend the remainder of her life in the monastery's hermitage. The abbot recounts the trials she will have to undergo. Leonora, Padre Guardiano, Fra Melitone, and the other monks join in prayer as she is accepted in the hermitage. Meanwhile Don Alvaro has joined the Spanish army under the name of Don Federico Herreros (La vita è inferno all'infelice ... O tu che in seno agli angeli – "Life is a hell to those who are unhappy....Oh, my beloved, risen among the angels"). One night he saves the life of Don Carlo who is serving in the same army under the name of Don Felix Bornos. They become close friends and go side by side into the Battle of Velletri, an historical event which occurred in 1744. In one of these engagements Don Alvaro returns, believing himself to be mortally wounded. He entrusts to Don Carlo’s care a valise containing a bundle of letters which he orders his friend to destroy as soon as Don Alvaro dies: (Solenne in quest'ora – "Swear to me, in this solemn hour"). Don Carlo has sworn not to look at the contents of the letters; but he becomes suspicious of his friend. (Morir! Tremenda cosa! ... Urna fatale del mio destino – "To die! What an awesome thought...Get away, fatal lot sent to my Destiny!"). He opens the valise, finds his sister’s picture, and realizes Alvaro's true identity. At that moment a surgeon brings word that Don Alvaro may recover. Don Carlo is overjoyed at the idea of avenging his father’s death. Having recovered, Alvaro is confronted by Carlo. They begin to duel, but are pulled away from each other by the soldiers. As they restrain Carlo, the anguished Don Alvaro vows to enter a monastery. The soldiers gather. Trabucco, the peddler, tries to sell them his wares; Fra Melitone chastises them for their godless ways; and Preziosilla leads them in a chorus in praise of the military life (Rataplan, rataplan, della gloria – "Rum-tum-tum on the drum is the music that makes a soldier's martial spirit rise"). 1860s postcard showing Act IV. Impoverished peasants from the region approach Fra Melitone at the monastery at Hornachuelos for food and Padre Guardiano gently scolds Melitone for his less than charitable behavior towards them. Don Carlo then approaches, having learned of the presence of Don Alvaro there. Under the name of Father Raphael, Alvaro has indeed entered the monastery, near which is Leonora’s cave. Don Carlo forces him into a fight (Le minacce, i fieri accenti – "May the winds carry off with them"). Enrico Caruso, Jose Mardones and Rosa Ponselle in a 1918 Metropolitan Opera performance. Leonora prays that she may find peace in death (Pace, pace mio Dio! – "Peace, O mighty Father, give me peace!"). Alvaro runs in, calling for help, having mortally wounded Carlo in their duel. The two lovers recognize each other. Leonora seeks her brother and, as she bends over him, he stabs her in the heart. Leonora returns with Padre Guardiano; he and Alvaro pray to heaven as she dies. [Original version: Overcome by the guilt at having killed or caused the death of all the Calatravas, Alvaro jumps to his death into the nearby ravine, cursing humankind, over the protests of Father Guardiano]. Don Carlos is a five-act grand opera composed by Giuseppe Verdi to a French-language libretto by Joseph Méry and Camille du Locle, based on the dramatic play Don Carlos, Infant von Spanien by Friedrich Schiller. In addition, it has been noted by David Kimball that the Fontainebleau scene and auto da fé "were the most substantial of several incidents borrowed from a contemporary play on Philip II by Eugène Cormon". The opera is most often performed in Italian translation, usually under the title Don Carlo. Herva Nelli was an Italian-America operatic soprano. Mirella Parutto is an Italian operatic soprano and later mezzo-soprano. Sharon Sweet is an American dramatic soprano. Sharon Sweet has appeared in leading roles in several major venues in Europe and the United States and has made notable contributions to several recordings, in particular Lohengrin, Der Freischütz, Don Giovanni, and Il Trovatore. In 1999, she accepted a full-time teaching position at Westminster Choir College of Rider University. In a column in Opera News, Sweet stated that she made the move out of frustration with the current operatic scene which emphasized physical appearance over voice. She cited her struggles with Hashimoto's syndrome, a thyroid condition. Anita Cerquetti was an Italian dramatic soprano who had a short but meteoric career in the 1950s. Her voice was very powerful and pleasing to audiences. Gabriella Tucci is an Italian operatic soprano, particularly associated with the Italian repertory. Maria Caniglia was one of the leading Italian dramatic sopranos of the 1930s and 1940s. Gilda Cruz-Romo is a Mexican operatic soprano, particularly associated with dramatic roles of the Italian repertory, notably Aida and Tosca. Clara Jacobo was an Italian opera singer. She began her career around 1923 at the Italian provincial stages. She then came to the U.S., where since 1928 she performed at the Metropolitan Opera of New York. Here she sang in the seasons 1928-29, 1930–31, 1933–34 and 1936-37 batches from the dramatic vocal category. Iva Pacetti was an Italian operatic soprano who had an active international career from 1920-1947. Trained in Florence and Milan, she made her professional opera debut in her native city at the age of 21 as the title heroine in Giuseppe Verdi's Aida at the Teatro Metastasio. She reprised the role the following year at Loew's Lexington Theatre in New York City. In 1922 she had a triumphant success at the Teatro Carlo Felice as Elena in Arrigo Boito's Mefistofele. Engagements with other important opera houses soon followed, including La Scala, the Teatro Costanzi, the Teatro di San Carlo, the Opéra de Monte-Carlo, the Chicago Civic Opera, the Teatro Colón, the Teatro Municipal in Rio de Janeiro, and the Theatro Municipal in São Paulo. From 1930-1933 she was committed to the Royal Opera House in London, portraying such roles as Desdemona in Otello, Leonora in La forza del destino, and the title role in Tosca. The latter years of her career were spent performing primarily at La Scala where she was a frequent partner of Beniamino Gigli. She retired from the stage in 1947, after which she was active as a voice teacher in Milan. The Force of Destiny is a 1950 Italian musical melodrama film directed by Carmine Gallone and starring Nelly Corradi, Tito Gobbi and Gino Sinimberghi. It is based on Giuseppe Verdi's opera La forza del destino. Caroline Barbot, born in Paris 27 April 1830, died 17 September 1893, was a French operatic soprano. She is most notable for creating the role of Leonora in "La Forza del Destino" by Verdi in St. Petersburg, Russia, in 1862. ↑ "La Forza del Destino". Operabase. Retrieved 26 March 2018. ↑ Mazza Schiantarelli, p. ?? ↑ Casaglia, Gherardo (2005). "Source of cast for revised version" . L'Almanacco di Gherardo Casaglia (in Italian). ↑ The Order of Calatrava was a Military Order which had a major role in Spanish history, but in actual history there had never been an individual noble family with that title. ↑ The actual war referred to - the War of Austrian Succession - could hardly be described as "a war for Italy’s freedom"; the reference is anachronistic, reflecting the struggle for Italian Unification taking place at the time when the opera was written. ↑ Tim Smith 30 September 2007, "Baltimore Opera tests superstition: Company to take on Verdi's 'La forza del destino,' despite its history of bad luck", The Baltimore Sun (Baltimore, MD): "Superstition comes easily to the colorful, slightly crazy world of the performing arts.....Opera houses seem just as susceptible to superstitious thinking"
↑ Bing 1972, p. ? ↑ "I remember that evening well. It was a performance of La Forza del Destino. Your mother was wearing a red shawl, with long features along the edges. During intermission I followed them to the snack..." The Snicket File. ↑ "Watch new trailer for Lemony Snicket's A Series Of Unfortunate Events". Bing, Rudolf (1972), 5000 Nights at the Opera. New York: Doubleday. Budden, Julian (1984), The Operas of Verdi, Volume 2: From Il trovatore to La forza del destino. London: Cassell. ISBN 978-0-19-520068-3 (hardcover) ISBN 978-0-19-520450-6 (paperback). Mazza Schiantarelli, Simona (2011). Un viaggio tra dominante e tonica negli anni del risorgimento. Tirano, Italy: Polaris. Melitz, Leo (1921), The Opera Goer's Complete Guide. Toye, Francis (1931), Giuseppe Verdi: His Life and Works, New York: Knopf.